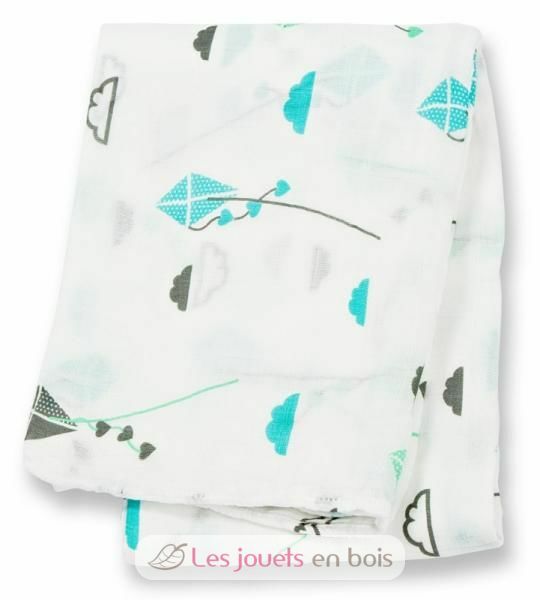 Extra-large bamboo muslin swaddle - Aqua kite 120 x 120 cm made by Lulujo, item number 121-005-001. Already used by our grandmother and great grandmother, the chiffon lange is a must in the world of child care. 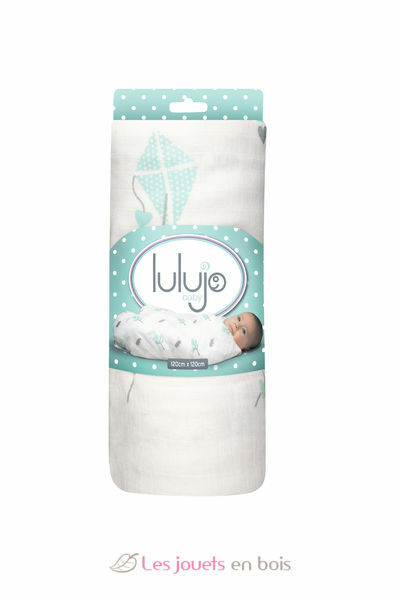 Babies love the silky soft texture and mums loves the versatility and range of uses. In addition to being extra soft and pretty, the maxi lange in chiffon is multi-function. It can be used as a cuddly toy, nursing blanket, cocoon of swaddling, protection for baby changing, bib, cover in the stroller, a blanket, nursing cover, portable crib sheet, change mat, stroller cover and more. 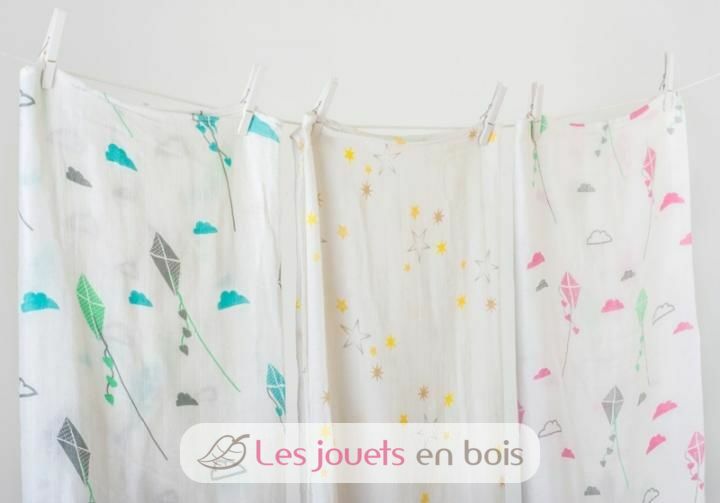 Machine washable at 30 ° C, low temperature dryer, do not iron, do not bleach.